US citizens do not need a visa for tourist or business travel to this country. Any US citizen who wishes to travel to Bahamas for any purpose other than tourism or business negotiations (e.g. work, study, adoption, immigration, or stays longer than the stipulated 6 months in the entry requirements) should contact our office. 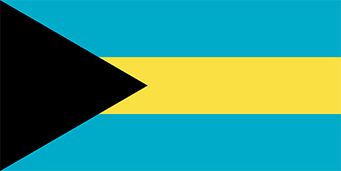 FEES – A $100.00 processing (non-refundable) fee by cashier’s check, banker’s draft or money order made payable to Bahamas Consular Annex. Cash payments are discouraged and absolutely no-personal checks are accepted. Processing time is Five (5) Business Days (walk-ins) from receipt and Seven (7) Business Days (mail-in) from receipt of application and all requisite documentation. Consular Hours: Monday to Friday 10:00am – 1:00pm (for acceptance of visa(s) application(s) and 2:00pm – 3:00pm (for collection of visa(s). PLEASE NOTE THAT THE CONSULATE DOES NOT PROVIDE EXPRESS OR EXPEDITED SERVICES.